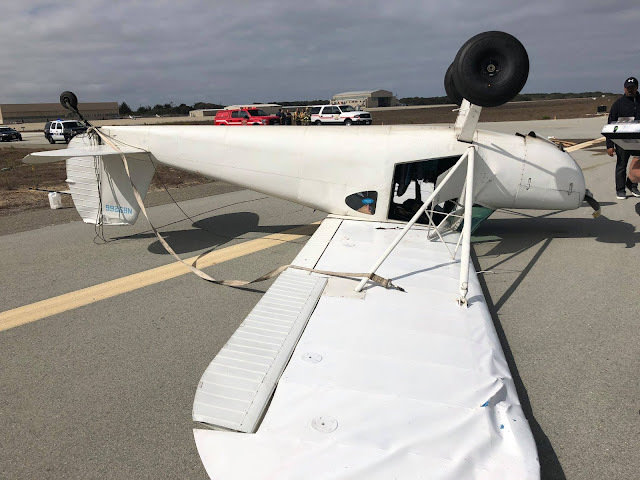 The pilot of the tailwheel-equipped airplane reported that, after landing, as he pressed the right rudder to turn off the runway, his foot slipped and he inadvertently applied the brake, and the airplane nosed over. The airplane sustained substantial damage to the right wing lift strut, left wing, and empennage. 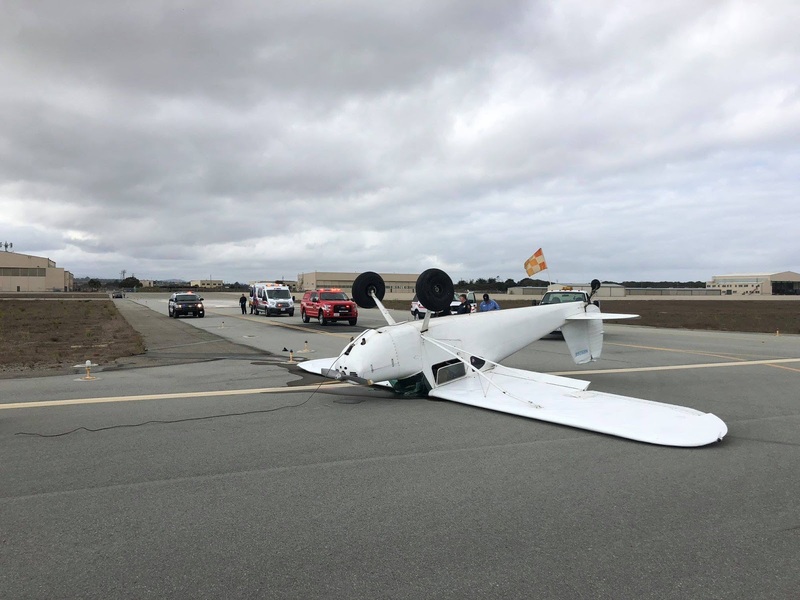 MARINA — An unidentified pilot survived a crash Wednesday morning at Marina Municipal Airport. According to the Marina Police Department, police and firefighters were dispatched about 10:32 a.m. to a report of an aircraft that had crashed at the airport. When they arrived, they found a small aircraft resting on its top. The pilot walked away from the incident with minor injuries and was treated at the scene. The Marina Municipal Airport was closed to all aviation traffic as the incident was investigated by the Federal Aviation Administration and the National Transportation Safety Board. In March, one person died after a small personal aircraft crashed into a field next to the runway. In 2014, a Mooney M20F single-engine plane landed on its belly at the Marina Municipal Airport after its landing gear collapsed with no injuries resulting from the landing. In 2001, a homemade airplane built and piloted by David Rominger, 70, of Marina, crashed in a strawberry field when the aircraft’s wings collapsed while approaching the Marina Municipal Airport, killing him. The pilot reported that, after a cross country flight, he wanted to fuel the airplane at the airport, but the fuel tanks were locked. 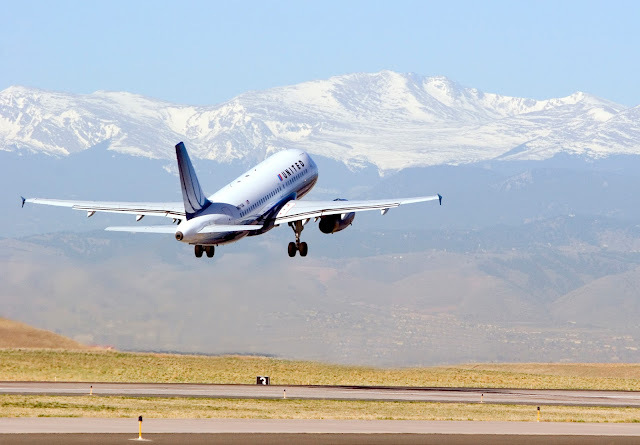 He then flew to a nearby airport to fuel the airplane, but once over the airport he was told via the universal communication frequency (UNICOM) that the airport was closed for construction and he would not be able to land. He returned to the departure airport and as he reduced power and performed his "gump" check, the engine had a total power loss. He switched from the left fuel tank to the right fuel tank, turned the fuel pump on, and pumped the throttle, but "still no power". He continued downwind and abeam the runway numbers, he added flaps. On base, he felt the airplane was low and decided to head straight for the runway. Near the beginning of the runway, the airplane aerodynamically stalled and landed hard. The airplane slid about 300 ft and came to rest in the grass adjacent the runway. The Federal Aviation Administration inspector reported that he verified that the left fuel tank was completely empty. He also removed the drain plug from the carburetor, which was empty as well. Additionally, the insurance adjuster reported that he looked into the fuel tanks with a scope and observed that the left fuel tank was "bone dry" and the right tank had about 12 gallons of fuel. Flight number 1192: Departed Denver International Airport (KDEN), declared emergency due to failing left engine, landed without incident. February 07, 2019: Crashed due to unknown circumstances. October 09, 2018: Crashed due to unknown circumstances. 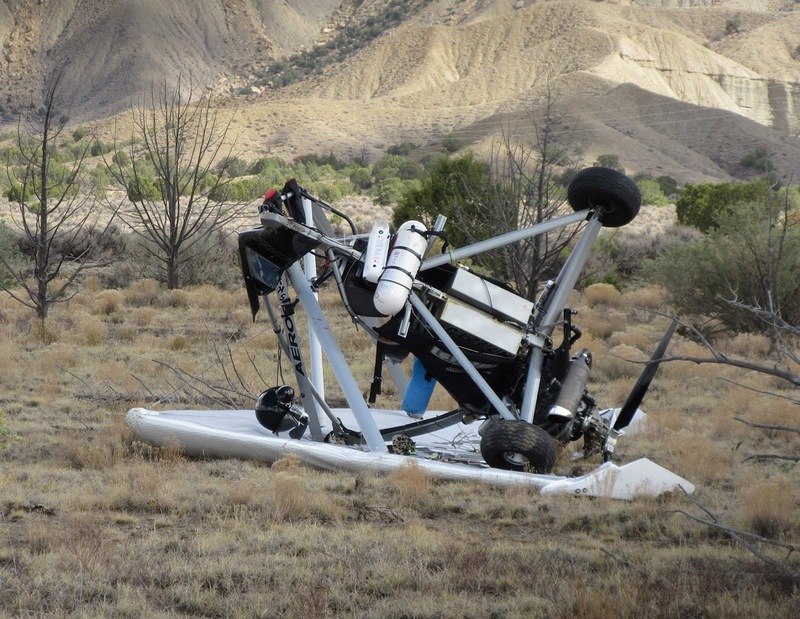 A man who was injured as his Skytrax Trike crashed on October 9th, 2018 in a remote field south of Cortez was assisted by a British tourist who witnessed the accident while driving. Hills made a U-turn on U.S. Highway 491 and drove his passenger vehicle up a muddy dirt track east toward the crash site at the base of the Mesa Verde escarpment. When it became too rough, he parked and ran the rest of the way. “What I saw was the pilot tangled in the wreckage. He was conscious but disoriented. His face was bleeding. He had a cut above his eye, and it looked like his nose was broken,” Hills said. A wheel had sheared off the plane after it apparently flipped and nosedived into the ground. Debris was scattered, and the pilot’s cellphone was smashed. Hills called 911 on his cellphone and reported the general location of the crash but was unsure of exactly where he was. After he found a GPS in the cockpit, Hills called 911 again, and the pilot read the coordinates to the dispatcher. Concerned about a fire, Hills said he disconnected the battery and shut off the aircraft’s fuel line. He and the pilot, who was not identified, walked about one-eighth mile to the highway. “He seemed glad to see me,” Hills said. A Southwest Health System ambulance crew arrived and attended to the pilot’s injuries. He was transported to Southwest Memorial Hospital. Cortez Fire Protection District rescue personnel responded to the incident as well. 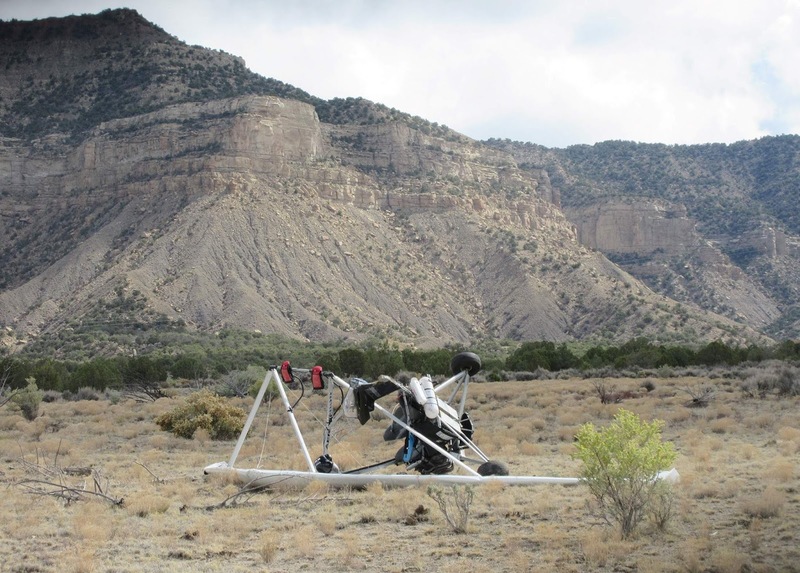 They said the plane crashed in the jurisdiction of the Ute Mountain Ute tribe, and they had been contacted. The biplane pilot reported that, while performing a reconnaissance flight to determine the viability of landing the biplane on the infield section of the racing track for an upcoming airshow, several passes were made, and no power wires were observed. He added that, during an approach to the proposed landing area, the biplane struck a power wire. The pilot aborted the approach, performed a quick controllability check, and decided to land at the nearby airport. The biplane landed without further incident. The airplane sustained substantial damage to the left ailerons. The pilot reported that there were no preaccident mechanical failures or malfunctions with the biplane that would have precluded normal operation. Flight number 1405: Reported engine damage after arriving at the gate. 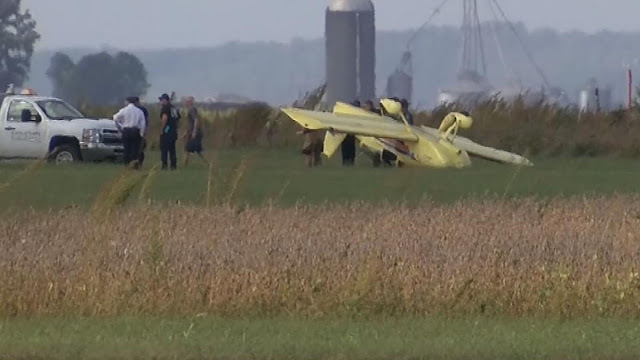 On October 9, 2018, about 1050 central daylight time, an experimental amateur-built Vans Aircraft Inc., RV-6A airplane, N451JP, veered off the side of the runway and nosed over during landing at Cape Girardeau Regional Airport (CGI), Cape Girardeau, Missouri. 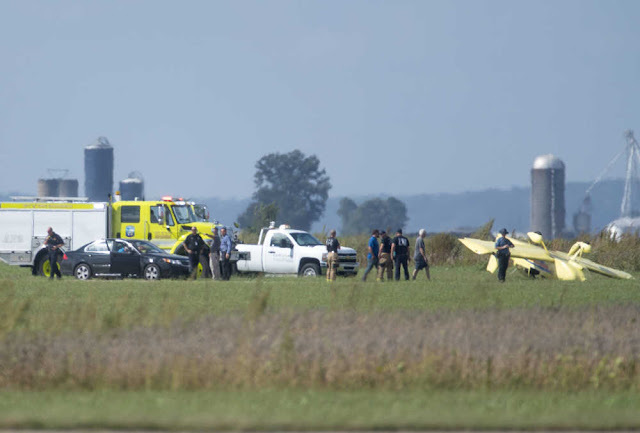 The private pilot was fatally injured and the passenger was seriously injured. The airplane was substantially damaged. The airplane was registered to and operated by the pilot, under the provisions of Title 14 Code of Federal Regulations Part 91, as a personal flight. Visual meteorological conditions prevailed, and no flight plan was filed for the local flight that departed at an unknown time. According to witnesses located at the airport, the pilot lost control of the airplane during a crosswind landing and veered off the side of the runway and nosed over. The airplane came to rest about 1,750 ft from the approach end of runway 20 and about 25 ft off to the right side of the runway edge. The airplane was recovered to a secure location. Lowell Charles Peterson, 74 of Jackson, Missouri passed away Wednesday, October 10, 2018 at Saint Francis Medical Center. He was born February 15, 1944 in Saint Paul, Minnesota to the late Philip and Gina (Stark) Peterson. 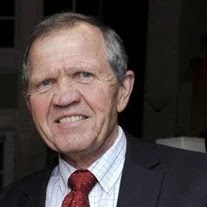 He and Laurie Lindseth were married August 20, 1966 in Athens, GA.
Lowell served in the U.S. Navy as Supply Officer. He was a member of St. Andrew Lutheran Church. His working career included 29 years in banking, starting as a bank examiner in the Midwest, moving on to Hibbing, Minnesota, as Assistant Vice-President of First National Bank, onward to Alexandria, Minnesota, as President of First Bank. Mercantile in Farmington, Missouri, was next where Lowell worked as President, to his final position in Cape Girardeau-Jackson with US Bank where he retired in 2004 as President. He loved being involved in the local community as well as his Old Goats coffee group. Lowell was a past-president of Rotary in Cape Girardeau, participated in the annual Soap Box Derby, and loved his time as Executive Director of Habitat for Humanity. Once retired he and Laurie joined Peace Corps and were stationed in Uzbekistan. Lowell was a builder of bridges and airplanes, as well as hydraulic can-smashers. He was meticulous and precise in whatever project he was creating. He and his flying buddy Jack enjoyed many hours at the Cape airport, especially flying to Dexter for Saturday morning coffee. He will be missed by all of us, as well as by his dog Annie. Survivors include his wife, Laurie Peterson of Jackson, Missouri; daughter, Betsey (Richard) Rice of Ozark, Missouri; son, Jon Peterson of Lindstrom, Minnesota; four brothers, Lynn (Barbara) Peterson, Delwin (Marilyn) Peterson, Merlin (Linda) Peterson, Burnell (Ann) Peterson; four grandchildren, Andrew Magnan, Allison Saylor, Katie Peterson, Jacob Peterson; six great-grandchildren; numerous nieces and nephews. Visitation will be from 9:00 to 11:00 a.m. on Saturday, October 13, 2018 at St. Andrew Lutheran Church in Cape Girardeau. Funeral service will follow at 11:00 a.m. at the church with Rev. 's Mark Martin and John Dehne officiating. Burial will take place at a later date in Minnesota. Memorial contributions may be given to Habitat for Humanity, 2365 Rust Ave Cape Girardeau, MO 63703. Jackson resident and aviation enthusiast Lowell Peterson has died following a plane crash. He was 74. Peterson and longtime friend Jack Mehner were hospitalized Tuesday after a plane they were flying flipped at the Cape Girardeau Regional Airport. Cape Girardeau Police Department public-information officer Rick Schmidt had confirmed Peterson and Lowell were the only "two souls on board" the plane at the time of the crash. Authorities had not said who was piloting the plane, but both men had long experience as pilots. Both had joined the Cape Girardeau Pilots' Club and had years of piloting experience, according to Southeast Missourian archives. Last year, the FAA designated Mehner a "Master Pilot" for having exhibited flying skill for the past 50 years. He told the Southeast Missourian in an article recognizing his achievement he and Peterson often enjoyed flying an airplane they had built together in Peterson's garage, among other planes. Peterson was active in the community. He had served as past-president of Rotary in Cape Girardeau, participated in the annual Soap Box Derby, and had been executive director of Habitat for Humanity. He and his wife Laurie joined Peace Corps after his retirement, and were stationed in Uzbekistan. His visitation will be from 9 to 11 a.m. Saturday at St. Andrew Lutheran Church in Cape Girardeau. Funeral service will follow at 11 a.m. at the church. Mehner had successful surgery Wednesday morning for a neck injury he sustained, according to a message put out on behalf of his family by the Cape Girardeau Chamber of Commerce. Mehner's son John Mehner is the president and CEO of the chamber. CAPE GIRARDEAU, MO (KFVS) - Emergency crews rushed to the Cape Girardeau Regional Airport at 11 a.m. on Tuesday, Oct. 9. A small single engine 2-seater aircraft flipped over on its top, according to the Cape Girardeau Fire Department. As of Wednesday morning on Oct. 10, city officials said the NTSB and FAA will be investigating the incident. There were two people in the plane at the time of the crash and they were transported to the hospital. We’re told their injuries are serious. According to Cape Girardeau Public Information Manager Nicolette Brennan, the plane flipped as it was landing. The incident reportedly did not impact other scheduled flights. Along with Cape Girardeau Police and Fire Departments, multiple emergency crews responded to the scene, including those with Scott City, Scott County and Missouri State Highway Patrol. CAPE GIRARDEAU, Mo. — Two people were hospitalized when a plane flipped Tuesday at the Cape Girardeau Regional Airport, authorities said. 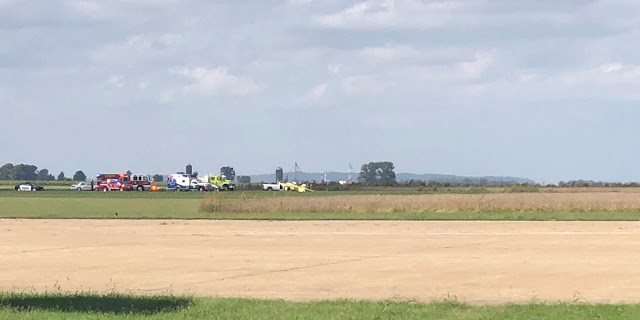 The private aircraft carrying two passengers flipped at 11 a.m., according to a statement issued by Cape Girardeau public-information manager Nicolette Brennan. The airport is a city property. The two passengers sustained serious injuries in the crash and were both transported to local hospitals, according to the release. Cape Girardeau Police Department public-information officer Richard Schmidt confirmed that the two people hospitalized were the only “two souls on board” the plane at the time of the crash. He said the cause of the crash had not been identified, but authorities are investigating. No other aircrafts were involved in the crash, and the emergency is not expected to affect other scheduled flights, according to the statement from city officials. More information is expected as authorities and emergency personnel process the scene. Flight number 2226: Was pushed back from the gate and waiting to start their taxi. The wing of a Delta Air Lines, Airbus A320 under tow clipped the back of the McDonnell Douglas MD-90. Encountered bird strike while on approach. According to the flight crew, the instrument approach was flown above the glideslope in anticipation of mechanical turbulence. As the airplane descended through 500 ft, the pilot monitoring notified the pilot flying that the airplane was high on the approach. The airplane continued the approach above the glideslope, and the landing flare was conducted too high, which resulted in an excessive sink rate. The pilot flying attempted to arrest the sink rate but was unable to do so, and the airplane landed harder than expected, which resulted in a tail strike and substantial damage to the lower aft fuselage. The pilot's unstabilized approach and improper landing flare, which resulted in a hard landing. According to the flight crew, the instrument approach was flown above the glide slope in anticipation of mechanical turbulence. As the airplane descended through 500 ft, the pilot monitoring notified the pilot flying, that the airplane was high on the approach. The airplane continued the approach above the glide slope and the landing flare was conducted too high, which resulted in an excessive sink rate. The pilot flying attempted to arrest the sink rate but was unable, and the airplane landed harder than expected, striking the tail, which resulted in substantial damage to the lower aft fuselage.